Home/Knowledge Base/CMS/How to install and update WordPress theme? How to install and update WordPress theme? This article contains instructions on how to manually install and update WordPress theme. Before making any of these changes, we highly suggest that you create a backup of your WordPress site. 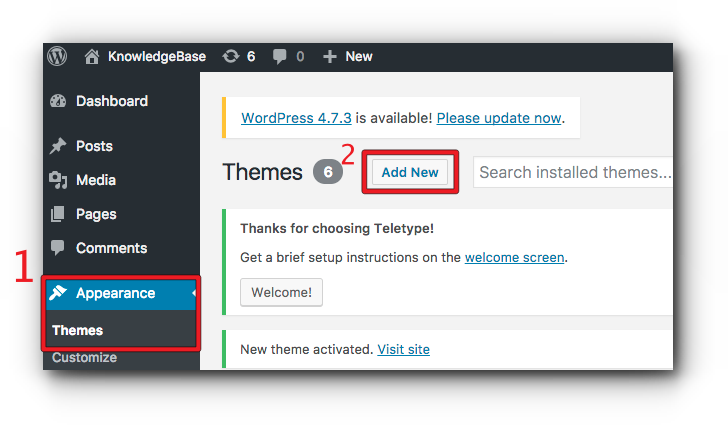 To proceed with the WordPress theme topic, please follow the step-by-step instructions. Step 1. Download the theme you want to use. If you already have it on your local drive, proceed to step 2. Step 2. 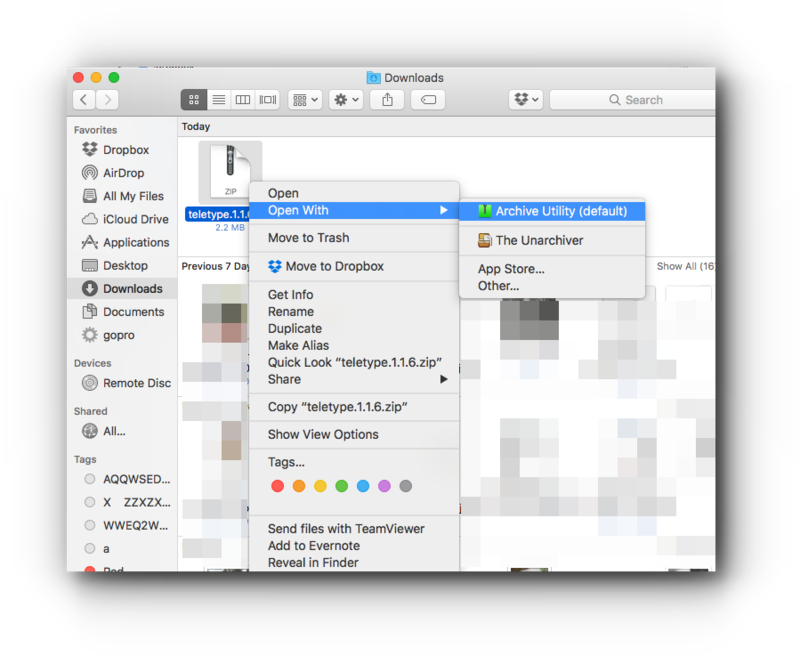 There are three ways in uploading the theme file. Step 3. Log in to WordPress Dashboard. Step 4. Click Appearance and select Themes. Step 5. Activate the newly added theme. Step 1. Unzip the file from your local drive. Step 2. 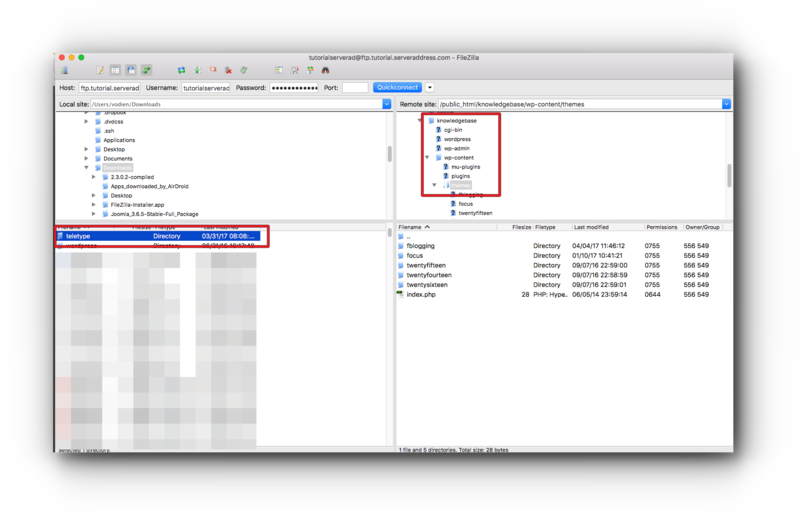 Connect to your FTP client. Step 4. 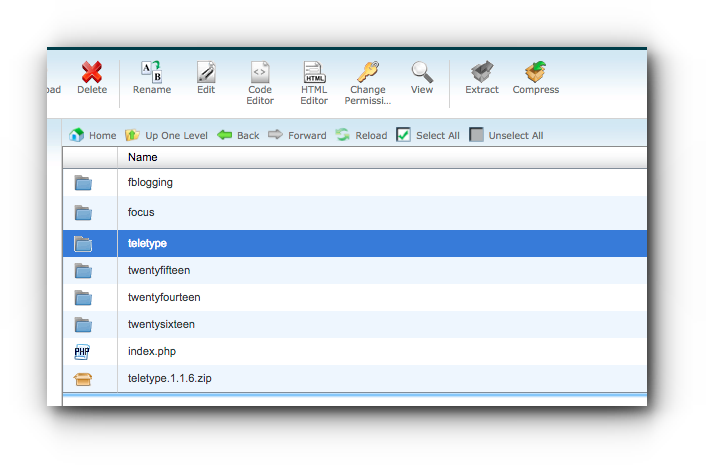 Upload the extracted WordPress theme folder in the /themes directory. Step 1. Access File Manager in your cPanel. Step 2. Locate your WordPress directory and open /wp-content/themes directory and click “Upload”. Step 3. Click Choose file button. Step 4. Select the zip file from your local drive. Step 5. 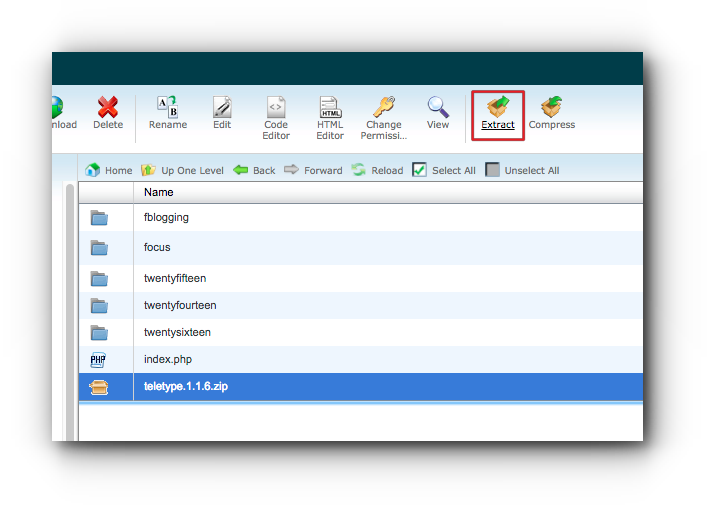 Once the file is uploaded, select it and click “Extract”. Step 6. Make sure that the directory where the file will be saved is the /wp-content/themes of your WordPress directory. If not, modify the path and click “Extract File(s)” button. Step 7. Wait for the extraction results and click “Close” button. Step 8. The new theme folder should be added on your /themes directory. Step 1. Log in to your WordPress Dashboard. From the dashboard menu, click Appearance and select Themes. Step 2. Click “Add New” button. Step 3. Click “Choose file” button. 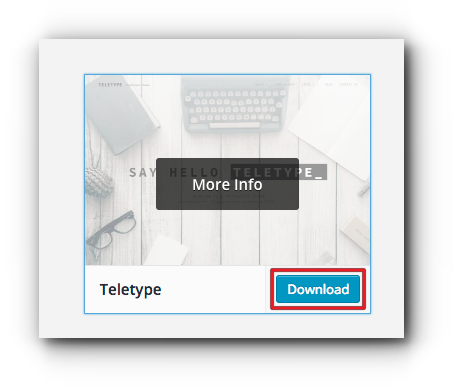 Before you update your WordPress theme, make sure that this is compatible with your current WordPress site. This is to avoid issues that you may encounter after updating it. Please also note that any customizations you have made to your current theme will be overwritten with the theme upgrade regardless if this is done automatically or manually. If you would like to make sure that your customizations are not overwritten, you can set up a “Child theme” to ensure that only core files are updated over every theme update. Step 2. From the dashboard menu, click Appearance and select Themes. Step 3. When a new version of your WordPress theme is available it will automatically show on your WordPress Dashboard. Click “Update Now”. Step 4. Once the WordPress theme is updated, try to check if your website is working or not. If you are using a premium or paid WordPress theme, you may manually upload it using the above steps.